Your smile is often times one of the first things that people notice about you. It affects the way you are perceived by others and it has even been shown that a great smile increases your likability. Because of this, more and more people are taking the time to improve their smiles through cosmetic dental treatments. These treatments may be necessary for health reasons, however they can also be performed simply to get you the smile you desire. Listed below are five of the most popular cosmetic dental treatments. Teeth whitening is probably of the most popular cosmetic dental treatments because it is such an easy procedure. Your dentist will apply a whitening compound to your teeth, it will sit for approximately twenty minutes, and then you rinse and repeat until the desired results are obtained. This is a quick, easy way to liven up your smile. However results are temporary and the procedure may need to be repeated every several months depending your eating and dental habits. Another option to improving your smile are dental veneers. These are porcelain shells that are fitted over already existing teeth and permanently placed. Veneers improve the contour and color of your teeth and help your smile to look more bright and even. They are also manufactured individually, meaning they will be based upon your teeth and will match perfectly with your smile. An alternative to veneers is cosmetic dental bonding. Cosmetic dental bonding also works to enhance the color and contour of damaged, discolored teeth. However, instead of using a porcelain cap, cosmetic dental bonding utilizes a tooth-colored bonding material to fill in or shape areas of the tooth. Your dentist will first drill out tooth decay then the composite is inserted. This composite is then molded accordingly to improve your tooth’s overall shape and cured with a special high-intensity light. Dental implants are artificial, natural looking teeth used to replace damaged or missing teeth. They are comprised of titanium screw that fuse into the jaw bone as an anchor, and a crown that emerges at the top of the implant which serves as the tooth replacement. These implants take some time to place, due to a six month period of osseointegration, or the process of the screw fusing to the jaw bone. Despite this one possible disadvantage, they provide the strongest, longest-lasting option to combat damaged or missing teeth. This procedure is performed as a way of decreasing excessive gum tissue that overshadows your upper teeth. When you have excessive gum tissue, this extra tissue covers more of your teeth making them appear shorter even though they are the correct length. 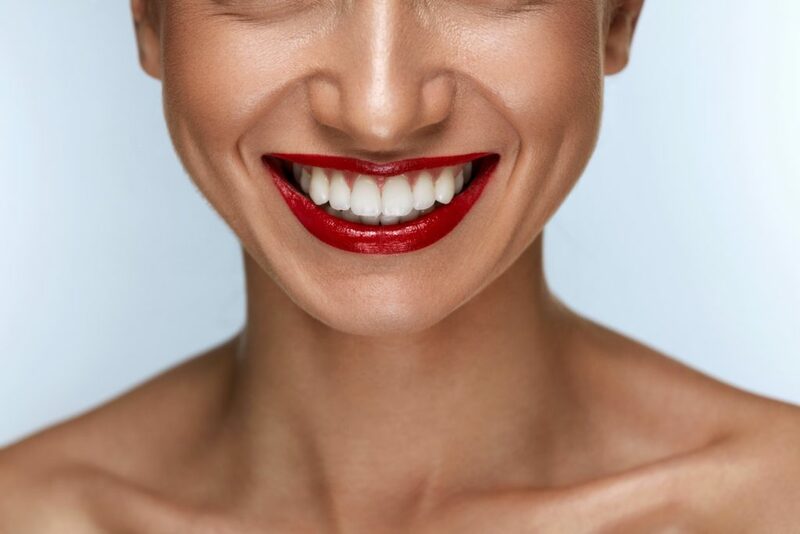 Depending on the severity and cause of the excess gum tissue, gingival contouring can be performed in a variety of ways including: laser treatments, surgical lip repositioning, orthodontics, surgical sculpting of the gum tissue and bone, and maxillofacial surgery to move the bone.